We love horse racing, in our business at Knightsbridge we have a focus on breeding and bloodlines, if you are in the market for a horse or are looking to sell it would behoove you (pun intended) to contact us. Beyond investing Knightsbridge is a premier lifestyle, business and thoroughbred club and providing unique and exclusive experiences for members and their guests. Our bespoke club is a congregation point for members that spans the globe, connecting different nationalities and overcoming language and cultural diversity. The gateway into participation in the group is through its elite thoroughbred racing syndicates. Knightsbridge races some of the world’s most commercial thoroughbreds; Members are VIP guests at dazzling functions; have the privilege of competing for wonderful prize money; continue to be introduced to fellow members and like minded peers from the Knightsbridge international network and are open to exclusive business opportunities. Knightsbridge Bloodstock has some great horses for you to get involved with in Australia, Dubai and the USA. We offer a 17% return on our Pinhooking partnerships, a 20% return on our stallion fund or buy in to a syndicate or participate in all the horses at a VIP level with a guaranteed return! If you are interested in investing let Knightsbridge know, they will be happy to answer any of your questions. Knightsbridge are building a stable of bloodstock to race in the USA, Australia, Singapore, Europe and Dubai, these horses have been hand picked for their breeding value, all our horses will be breed in Kentucky and Australia. We are limiting the number of participants to maximize the networking ops on the ground in Dubai, Asia and USA. The Knightsbridge team has been in the pinhooking game for over thirty years. When selecting prospects, Knightsbridge’s aim is to find yearlings that have good conformation, with pedigrees that are precocious and speed-oriented. 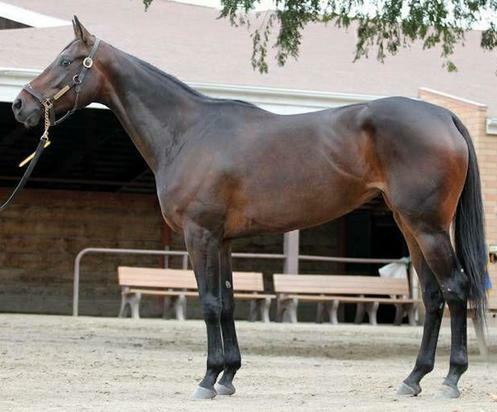 Once purchased, the yearlings are sent to Ocala to be trained and prepared for the two-year-old in training sales. Knightsbridge works in conjunction with top horsemen who have an exceptional record. The pinhooking game is one of market trends, performance, and placement. Knightsbridge has experience finding the right individuals, conditioning them according to the individual, and putting them in the most advantageous spot for sale. Over the life of the company Knightsbridge acquired the performance has exceeded 17% per year in the worst year to investors. The practice of stallion syndication became popular in the 1950’s in the USA. When a top class stallion prospect became available for stud duties, in order to help gather the funds to purchase the horse from its racing owners, stud masters would set about phoning up their clients and potential clients to ask them to put up some cash to take an ownership share in the horse in return for this initial upfront payment. A horse is normally broken up or syndicated into forty to forty-five shares (some syndicates have as many as seventy shares). The stud where the horse will stand will usually be the largest shareholder (25-50% ownership), although, it is not uncommon for the stud to only keep a few shares and sell the remaining shares to their clientele. Most studs normally like to keep roughly 25-50% of the shares Knightsbridge has partnered with the leading Studs in the USA giving us a distinct advantage in the market for our stallions. The initial price of a stallion share is usually set at three times the stallion’s first season advertised or proposed service fee. Sometimes the share price might be four or five times (or higher) the first season fee. Apart from mortality cover, our insurance also offers some form of infertility cover, so that if the stallion proves to be infertile or sub-fertile, you will get your money back. A famous example of a first season sire being declared infertile was USA’s 1995 and 1996 Horse of the Year, CIGAR. Luckily for his two owners Allen Paulson and Coolmore Stud, they had him covered for infertility and they received a then record US$25 million payout. Secondary trading of stallion shares is a hot market. After a period of time, we may wish to sell our share, even before the stallion has had runners, or wait and see how his progeny perform on the racetrack, before deciding to keep or sell the share this is determined by market value and expectation much like the stock market. If the stallion’s progeny perform well then the stallion’s service fee will rise, and so will the share’s value. Likewise, if the stallion’s progeny perform poorly, his service fee will decline and so will the value of the share. Most stallion share trading normally occurs in the six months leading up to the start of the breeding season. Most stallion syndicates have what are called pre-emptive rights. This means that if a shareholder wishes to sell their share to someone outside the existing syndicate membership, then they must offer the share back to the existing members, at the price at they wish to sell to the outside party. The members normally have fourteen days in which to respond to this offer. If more than one member wants to purchase the share, there is a ballot. If no one has responded to the offer to purchase at the end of the period, then the shareholder can sell it to the outside party.